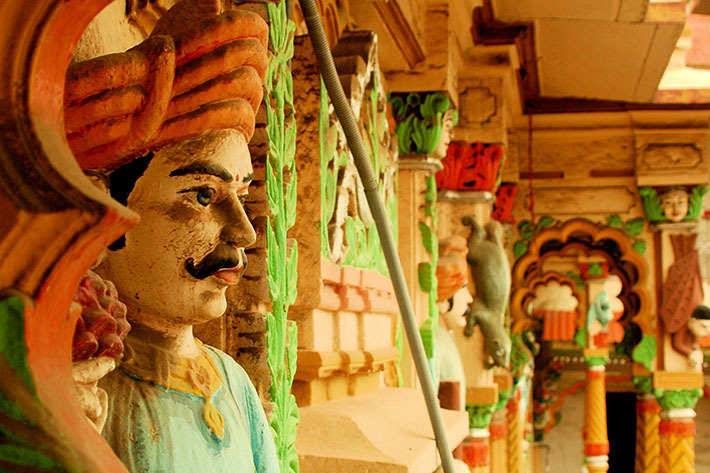 Gujarat’s uniqueness resides in its culture and history and it is advised to follow a specific itinerary that is aligned to your interests. Due to its poor infrastructure, distances and heavy industrial freight on the roads it is advised to pick out a particular interest, plan it and go enjoy it. 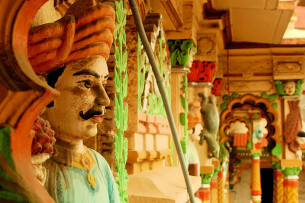 Most intrepid visitors do a 5 – 8 day tour of Gujarat after visiting Rajasthan – Delhi – Agra: either the indigenous culture and textile circuit of Ahmedabad – Dasada – Kutch district or the archaeological trail from Ahmedabad which takes in Patan and Modhera to the north west (of Ahmedabad) and then south down to Lothal and Palitana. We have offered a number of options here, all of course which can be mixed and matched. For advice, planning and execution do contact the Gujarat specialists North West Safaris, whose operations manager Anil Bhagia and owner, the experienced travel writer (Thomas Cook, Rough Guide, Footprint) Anil Mulchandani, will tailor make your trip. This is a must do itinerary if you are interested in ethnic, tribal cultures and crafts, but be prepared for some long, dusty days and basic but comfortable accommodation. That said however, there is a choice below, depending on your capacity for creature comforts. (Stay at Shaam-e-Sarhad Desert Resort for 1 or 2 nights or at Nakhatrana’s Infinity Resort, which is a far more comfortable and less basic accommodation option than Shaam-e-Sarhad above but a little further to drive to and from the Banni area. Note: You will be using these places as bases from which to explore the tribal villages so it is best to stay 2 nights or more as you will be spending long hot hours in the car. Mandvi (This is an additional option for a change of scenery – you could spend a night at Mandvi Beach Camp and a night at Infinity or just skip the beach camp altogether which requires you to drive an hour to and from Bhuj.) Fly out of Bhuj airport. Then it’s possible to travel on into Rajasthan and visit western Rajasthan, Udaipur and the Aravallis etc.